It happens a lot, from one reason or another, you may lose contacts on your iOS device. If you had backed up the contacts to iCloud, you can easily and quickly get them back by restoring them to your device. This is also a good way to bring your contacts with you to a new iOS device. In this article, we are going to provide you with different ways to download contacts from your iCloud account. 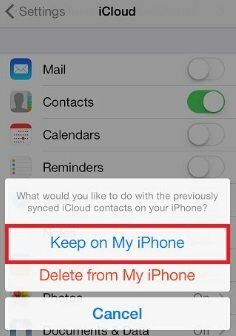 The following is a simple step by step tutorial to help you re-download contacts from iCloud to your iPhone or iPad. Step 1: Launch the Settings app on your iPhone or iPad and the tap on iCloud. Step 2: Turn on "Contacts" If you and already turned it on, turn it off and then back on again. This will trigger a re-download of the contacts. 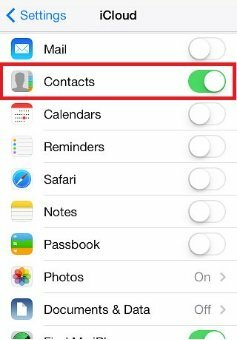 If you are asked what to do about the existing contacts, select "Keep on My iPhone". 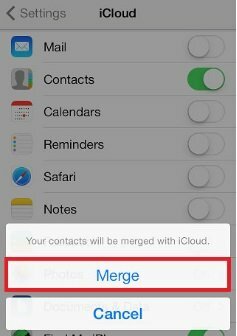 Step 3: Choose the "Merge" option and then launch the "Contacts" or the "Phone" app and your contacts should be there. Another option is to download your contacts from iCloud.com. 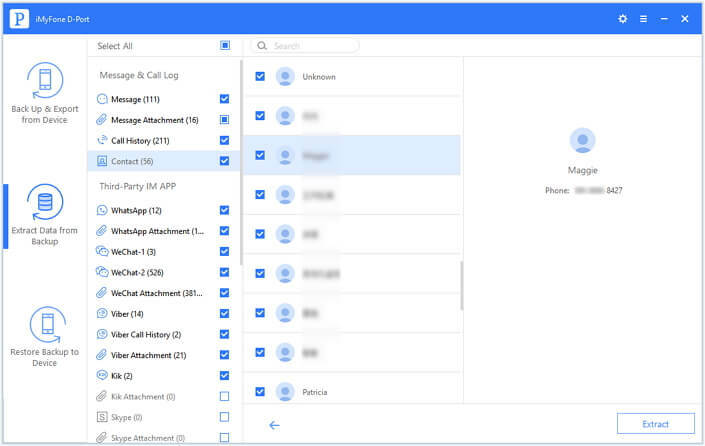 This is an ideal solution for anyone who wants to switch services or just wants an extra backup of their contacts. The contacts are downloaded in .vcf file format which you can then upload to an app that supports it. Step 1: Go to www.iCloud.com and then log in to your iCloud account. Click on "Contacts" and then select all the contacts available. 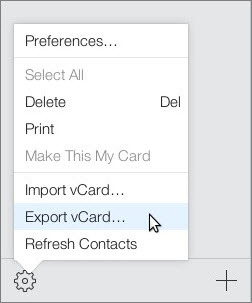 Step 2: Click on the gear icon on the left-hand corner of the screen and then click on "Export vCard". 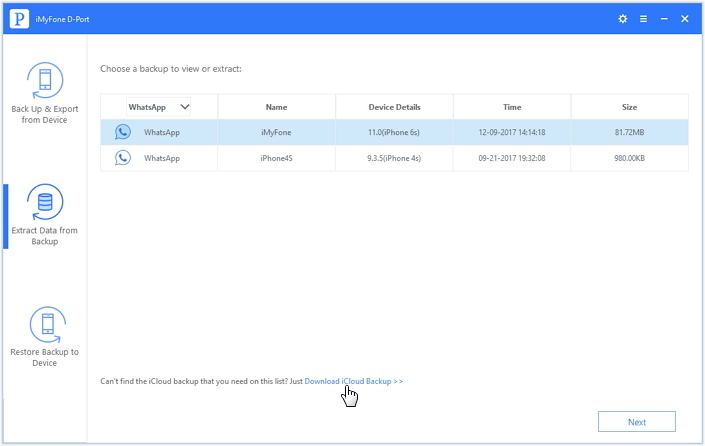 If you want to download more than just contacts from your iCloud backup file, and you need a tool to help you gain access to an iCloud backup file without restoring, then iMyFone D-Port iCloud Backup Extractor is an ideal choice for data extraction from iCloud backup. Some of its features that make it the ideal solution to download data in iCloud backup. It can retrieve 20 types of data from iCloud backup such as messages, notes, voice memos, photos, WhatsApp, WeChat, Kik and more. It can also be used to extract data from an iTunes backup file or directly export data from iOS device. It is very easy to use. As we shall see shortly, a few simple steps will have you access your iCloud data in a few minutes. It also comes with a feature that allows you to selectively download data in iCloud backup. The following is a simple step-by-step process to help you use iMyFone D-Port to download contacts from your iCloud account. Step 1: Install the program to your computer and then launch it. From the main window, select "Extract Data from Backup" and then you will see all the backups on your computer. Click "Download iCloud Backup" as the following picture shows to proceed . Step 2: Sign in to your iCloud account and then select the backup file you want to download the contacts from. Click "Next" to check "Contact" so that the program will scan contacts in this backup after downloading. Step 3: In the results page, click on the contacts found and then click "Extract" to save them onto your computer. 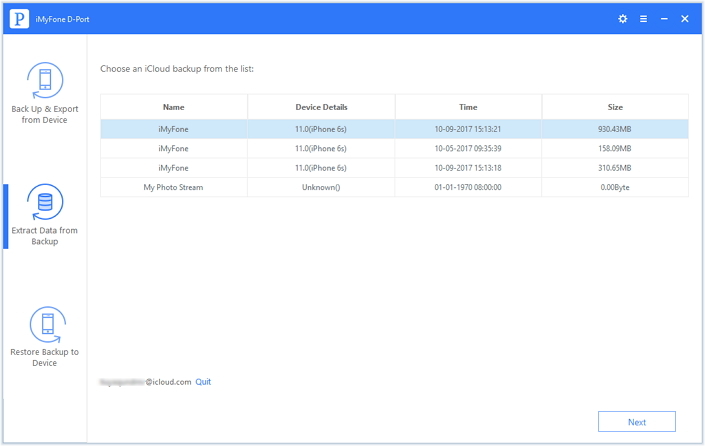 Download the free trial version of iMyFone D-Port iCloud Backup Extractor to view what the program can download from your iCloud backup now.